Bespoke Post's boxes of "awesome"
(MoneyWatch) What's inside a "box of awesome"? Just ask Bespoke Post co-founder Rishi Prabhu and he'll tell you. 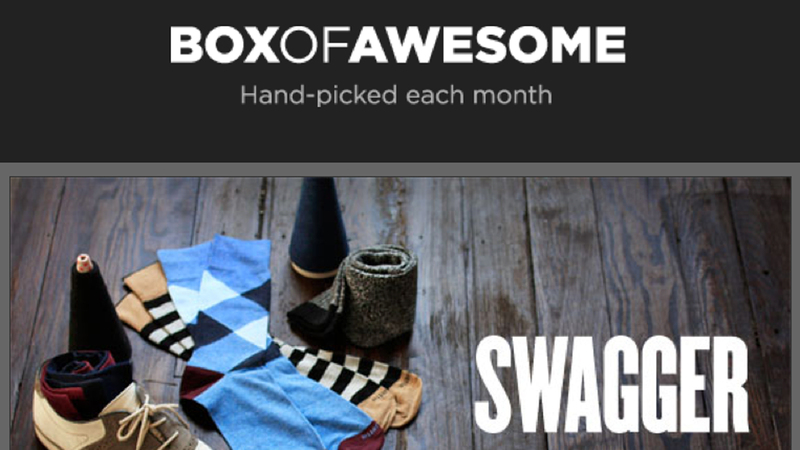 For $45 per month Bespoke Post subscribers receive a themed box of goodies that would retail for $70-$130. Founders and former business school classmates, Rishi Prabhu and Steve Szaronos noticed the proliferation of product subscriptions among women and wanted a piece of the action. In September 2011, Bespoke Post was born and is continuing to grow. They've now partnered with Details magazine showcasing the products on editorial spreads. Rishi Prabhu: I used to be in strategy consulting. I liked it for the first few years, but quickly realized I was reguritating the same thing to client after client, not learning anything new, and not actually creating anything -- just talking about things. I went to b-school at Kellogg and thought my goal was to work at Google or Groupon. And I did that, but it just wasn't for me. I realized that I wanted something of my own, something that I could build to my specifications. RP: Well, we started as a digital advertising business called nabfly in February of 2011. We were trying to change the way consumers interact with brands from their mobile phones. We were part of an entrepreneur accelerator program and had 6 months to build out the product and present it to investors. In month 5, we realized the business was turning into something that not only were we not passionate about, but that may not work as a business. So after five and a half months we pivoted to Bespoke Post a week before our deadline! We launched in the beginning of November and we began to make money right away and we have kept growing ever since. RP: Elon Musk. The man has revolutionized the payment, electric car, and space travel industries. I would ask him how the hell he manages his time? He co-founded and is currently the head of product design at Tesla. He co-founded and is CEO and CTO of SpaceX. And he has four children. I co-founded Bespoke Post, have a girlfriend, have no kids and I barely get by. RP: Yes! We're looking for interns to help us in marketing and design. Getting hired is so hard that it's easy -- don't send a form cover letter, don't send a form email, don't be regular. Take some initiative and do some research on the company you are interested in. Stalk them on LinkedIn and figure out if/how you are connected to people who work there. We actually had someone apply for a job by finding a way to get into our office, come right up to us and ask if we had 5 minutes to chat. Talk about breaking through. It was fantastic. For more on Bespoke Post visit their website.